Admitted into the Shanghai Dance School, majored in ballet in 1973 and graduated with excellence in 1979. In the same year, she was assigned to The Shanghai Ballet and later became principal dancer. With purely graceful and lyrical temperament, Lili appeared outstandingly on the stage in the last twenty years as principal role in Swan Lake, Giselle, Don Quixote, Romeo & Juliet, Les Sylphides, Paquita, as well as in Chinese ballets The White-haired Girl, Thunderstorm, Song of Youth, Soul, The Butterfly Lovers. As a choreographer, she has shown her talent in a modern pas de deux Twine choreographed by herself. In 2001, she created and choreographed the Legend of Butterfly Lovers. Lili won Silver Medal at the New York International Ballet Competition in 1987. She won 1st Grand Prix Couple at the Third Paris International Ballet Competition with her partner YANG Xinhua in 1988. She was awarded the title of Shanghai Top Ten Young Artists in 1993 and twice Baosteel Prize for Excellent Performer of Classical Arts in 1993 and 1999. She won the Shanghai Brave Female Award in 1994. Lili was appointed artistic associate of The Shanghai Ballet in 2000. 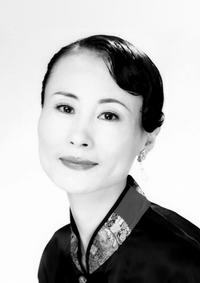 As artistic associate, Lili technically trained FAN Xiaofeng and SUN Shenyi to win Gold Medals at the 19th Varna International Ballet Competition in July 2000 and directed JI Pingping, FU Shu to win Gold Medal and Silver Medal at the 9th Paris International Dance Competition (Classical) in Nov. 2000. July 2001, she was appointed as artistic director of The Shanghai Ballet. Lili was invited to be a jury member of the 2nd Shanghai International Ballet Competition in 2001. In 2001& 2002, Mr. Derek Deane, Mr. Pierre Lacotte and Mr. Jean-Paul Gravier were invited to Shanghai Ballet for teaching and staging Swan Lake, Coppelia and La Sylphide. Lili was the executive director of these productions.